Priyanka Chopra and Nick Jonas in Mumbai. Actress Priyanka Chopra and rumoured fiance; Nick Jonas are making their reported engagement with a roka ceremony in Mumbai today, by several accounts. And while the Chopra residence has been buzzing with activity all morning, Priyanka and Nick were spotted catching dinner at the JW Marriott last night. Priyanka, in a summery blue and white checked dress, appeared to be holding hands with Nick in a couple of the pictures but we can't tell for sure. 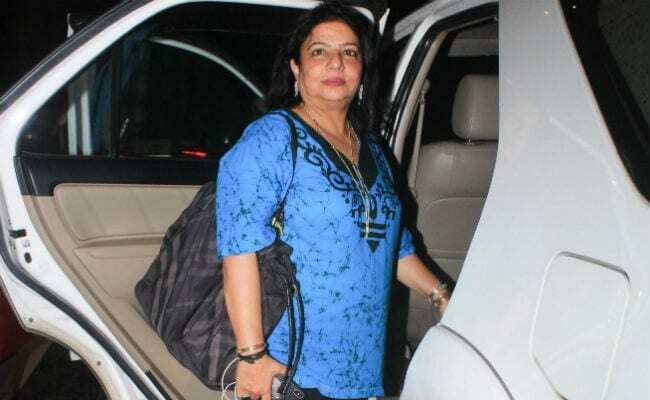 The 36-year-old actress' mother Madhu Chopra and brother Siddharth were at dinner with the couple. See pictures here:. 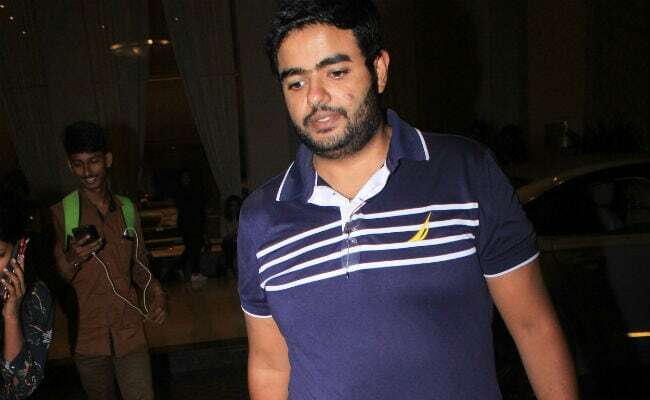 Siddharth Chopra also accompanied them. Priyanka Chopra's cousin Parineeti was spotted at Mumbai airport a short while ago. Parineeti has reportedly interrupted her work filming Namaste England in London to attend the reported roka. Parineeti Chopra at the Mumbai airport. A video of Parineeti, arriving at the venue, was posted by the actress'fan club. A priest was photographed at the Chopra home this morning. A grand party to celebrate the engagement is believed to be planned for this evening. Sources say many rooms have been booked at a hotel for guests and the invitees are likely to include Priyanka's Dil Dhadakne Do and Bajirao Mastani co-star Ranveer Singh, designer Manish Malhotra and her Dostana producer Karan Johar. Nick Jonas, 25, and his parents Denise and Kevin Jonas Sr flew into Mumbai on Thursday night. 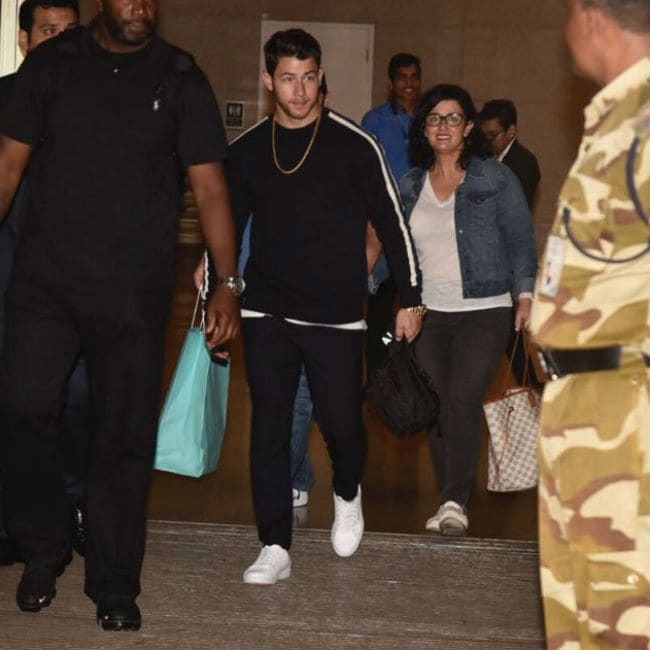 Nick Jonas at the Mumbai airport. Nick Jonas' parents at the airport. This is the second time Nick is visiting India, after having made a trip in June to meet Priyanka's family. While here, he holidayed in Goa with Priyanka and Parineeti Chopra and even attended an Ambani party. Priyanka Chopra and Nick Jonas reportedly got engaged last month on her birthday and Nick is believed to have popped the question with a diamond ring from Tiffany. The couple, who have resolutely refused to acknowledge a romance, attended the Met Gala together last year but supposedly only began dating a few months ago. After the party, Priyanka Chopra will likely stay on in Mumbai to work on The Sky Is Pink, her new film with Farhan Akhtar. She recently, and controversially, dropped out of Salman Khan's new project Bharat.